PT Bank Mandiri (Persero) Tbk - Bank Mandiri (IDX :BMRI) or referred to as "Mandiri Group" is an Indonesian state-owned commercial bank which is majority owned by the Government of Indonesia. As today, PT Bank Mandiri (Persero) Tbk is 60% owned by the Government of Indonesia and 40% remaining shares by investor and public shareholders. At the end of December 2016, Bank Mandiri Astra conducted business operations in all parts of Indonesia under the management of 139 branch offices, 11 direct-subsidiaries, 1,117 sub-branch offices, 189 cash-service offices, 17,461 ATMs. The state-owned bank also supported by 7 overseas offices. Bank Mandiri is based in Jakarta and its head office is registered at Jl Jenderal Gatot Subroto Kav 36-38 Jakarta 12190. According to PT Bank Mandiri (Persero) Tbk Annual Report 2016 as cited by JobsCDC.com, Bank Mandiri reached significant performance in 2016. Total assets in 2016 was recorded at Rp1,038.71 trillion or an increase of 14.14% from Rp 910.06 trillion in 2015. 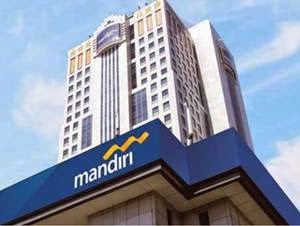 Referring to its annual report, Bank Mandiri maintains total third party funds of Rp762.50 trillion in 2016 or increased by 12.73% from Rp676.39 trillion in 2015. Minimum high school graduate, with a minimum 6.5 average on the national test score. Minimum S1 from relevant fields of studies with minimum GPA 2.75. Maximum age of 24 years old for fresh graduates. Maximum age of 26 years old with 2 years relevant experience. JobsCDC.com now available on android device. Download now on Google Play here. Please be aware of recruitment fraud. The entire stage of this selection process is free of charge. PT Bank Mandiri (Persero) Tbk - Kriya Mandiri, Banking Operation Staff Bank Mandiri August 2017 will never ask for fees or upfront payments for any purposes during the recruitment process such as transportation and accommodation.